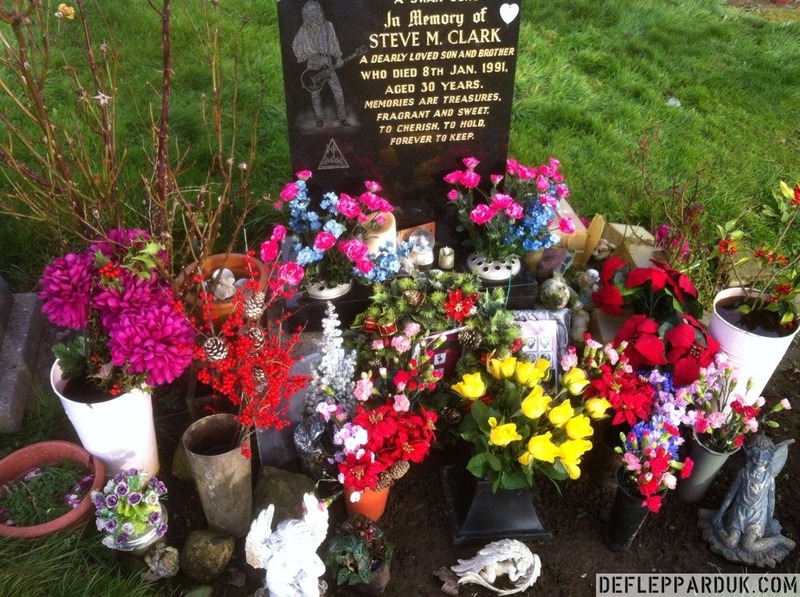 Def Leppard guitarist Steve Clark was laid to rest 26 years ago today in Sheffield, England after his sad death on 8th January 1991. 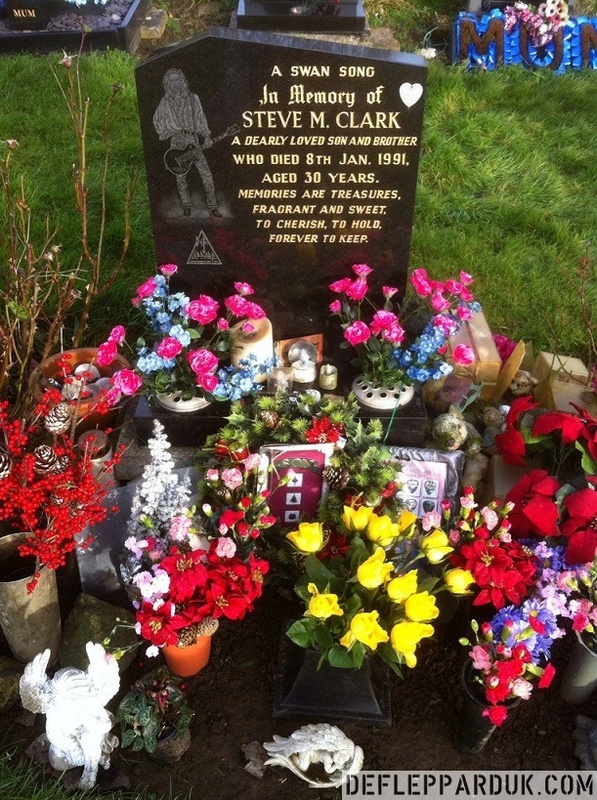 Steve's funeral took place at Wisewood Cemetery in Loxley Valley on Thursday 17th January 1991. He had passed away in his sleep on 8th January 1991 at home in the Chelsea area of London. 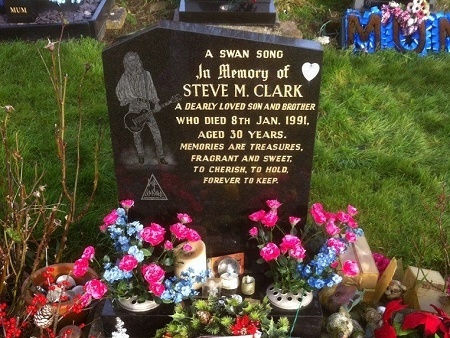 The cemetery is located in the west of Sheffield not far from where he grew up and where the band played some early pub gigs. Joe made a rare comment about the funeral in an April 1992 interview just after the 'Adrenalize' album was released. 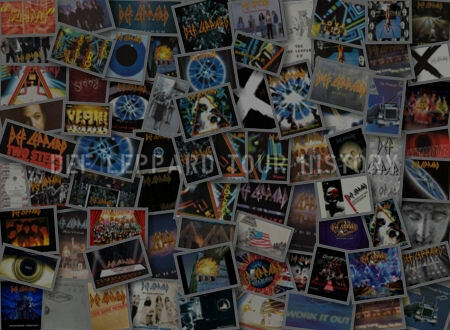 The band stopped taking questions about Steve's death once the main world tour began so this was perhaps one of the very few times he made any comment about this day. Phil confirmed in his 2015 'Adrenalized' autobiography book that he did not attend the funeral and explained the reasons why. 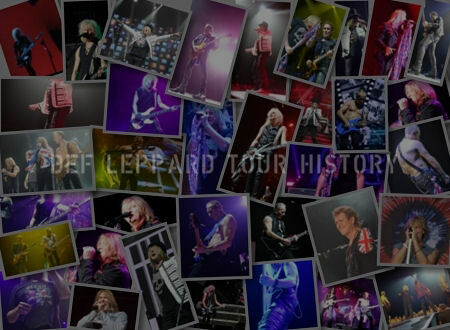 Joe, Rick and Sav were the only band members who attended. View Steve's grave site from above along with some photos taken in December 2016. So how did he react to the news of Steve's death when it finally came? "Strangely enough, when I first found out I immediately put on my diplomatic hat 'cos I knew I'd have to talk to radio stations, music papers, issue a press release and all that. I didn't really start to mourn until the funeral itself. I didn't start twitching and go weird until I saw the coffin, and then I got to the church and his mum burst out crying as soon as she saw me, saying she couldn't believe he was gone, and this was a while after he died because they'd kept the body for an autopsy." "I bit my lip all the way through the church service," he recalls. "but then when I looked down into the actual grave I couldn't deal with it... it cracked me up. We were all standing there when Sav turned and said 'Has anybody got a plectrum?'. you know, just to throw into the grave and say 'there you go' and not one of us had a f**king pick between us. We've normally got a pocket full of the bastards but right when we wanted one...nothing." 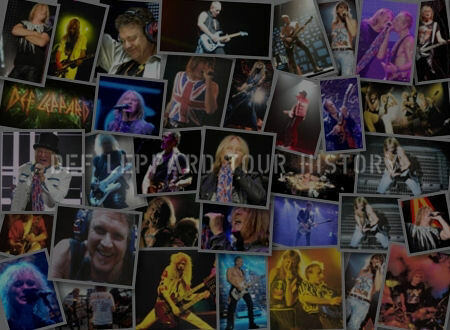 "That actually lightened things up a bit - I don't mean we were laughing or anything - and it was 'Ah well, typical bloody Def Leppard... ironic to the end'." "Firstly there was a private family funeral which took place on Thursday 17th January in Sheffield. 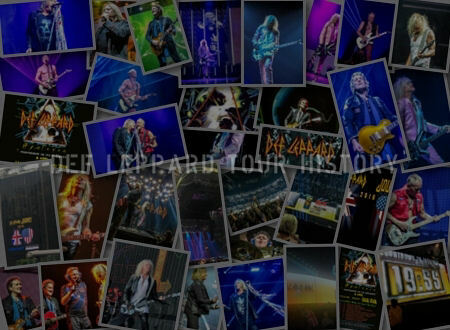 This was attended by Steve's family, the Band and immediate friends only. It was fittingly a very cold dismal day, sleeting and snowing some of the time. It was a very touching and emotional service. A very caring and sensitive tribute to a great man." This was the first time anyone in the band had suffered the loss of someone that we saw every day. Although we were all trying to process this, there was something that really started annoying me. It was the fact that when Steve’s funeral was announced, all of a sudden, everyone started caring about Steve - from total strangers to people who knew him on the fringe. I was so pissed about this that I decided not to go to the funeral. When Steve needed help, only the people really close to him were there. As soon as he died, everyone jumped in with their "I knew Steve" stories, not trying to help with his addiction but simply based on trying to hang out with a rock star. The floodgates opened and all the sycophants started pouring in for the funeral, which confirmed my decision not to go. I know Steve would have been with me on that.